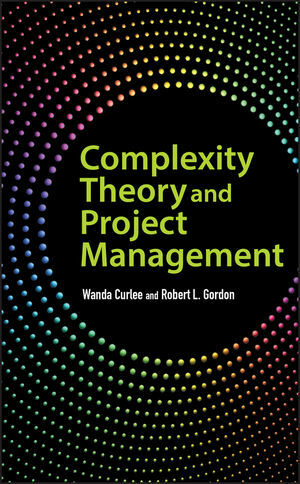 Complexity Theory and Project Management gives a firsthand view on the future of complexity theory as a driving force in the management field, and allows project managers to get a head start in applying its principles immediately to produce more favorable outcomes. WANDA CURLEE is a Program Management Consultant for a Fortune 500 company, and her primary clients are within the federal government. She has been a consultant in various organizations including telecom, insurance, and various technology firms. She has a doctorate in organizational leadership from the University of Phoenix and has authored papers on virtual project teams, complexity theory and project management, and virtual project management offices. She is also an adjunct professor at Northcentral University, Kaplan University, and the University of Phoenix. ROBERT L. GORDONis currently a Senior Faculty Member with Keller School of Management (DeVry University). Dr. Gordon earned his doctor of management and organizational leadership degree and his master of business administration from the University of Phoenix, as well as an undergraduate degree in history from UCLA. He has been active in project management and supply chain management for over twenty years. During that time, he has been involved with the construction of ten different passenger vessels as well as multiple ERP-related projects. A Practitioner's Explanation of Complexity Theory. 1 Introduction to Complexity Theory. 2 Going beyond the Project Management Body of Knowledge (PMBOK) Guide. 3 Virtual Leadership and Complexity. Part II How to Deploy Complexity Theory. 5 Successful Project Management Strategies of Complexity. 6 Virtual Leadership through Complexity. 7 How Organizational Culture Is the Key to Applying Complexity. 8 Cultural Conflict through the Lens of Complexity. 9 Cultural Conflict Resolution Strategies. 10 Risk Management through the Lens of Complexity. Part III Case Studies of Applied Complexity. 12 Web-Based Universities (Multilevel Complexity). Part IV Create Successful Project Communities. 14 Leadership of Complexity-Driven Organizations. 18 Dealing Appropriately with Change. Part V Advanced Tools for Managing Complexity. 19 Complexity Tools for Organizations with Virtual Teams. 20 Virtual Projects and Complexity Theory. 21 Using Complexity to Address a Troubled Project. 22 The Future of Complexity.